Cord is 62" long. 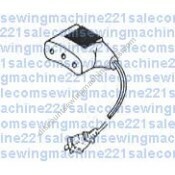 These models require electric cord #197874.Fits the following Singer sewing machi..
For machines requiring two electrical cords. 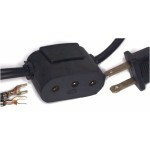 This one is for power only, cord 72" long. 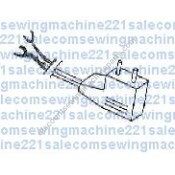 Your machi..
Companion electric terminal box with lead cord/plug and wires to fasten on existing foot control or ..